For more Family Vacation ideas, check out our Family Vacation Series. Info and pictures taken from the LDS.org Pageants website. The pageant begins at 8:00 p.m. and lasts for 1 hour and 15 minutes. Admission is free. No ticket is required, and no reservation is necessary. Experience the story of Jesus Christ's birth, ministry, selfless death, and miraculous Resurrection through music, dance, and drama. Free tours of the Mesa Arizona Temple Visitors' Center are offered before and after the pageant. Performances are presented in both English and Spanish. Gates open at 6:00 p.m. The pageant begins at 9:30 p.m. SEATING: 14,000 chairs are provided for seating. Crowds are smaller on weeknights. 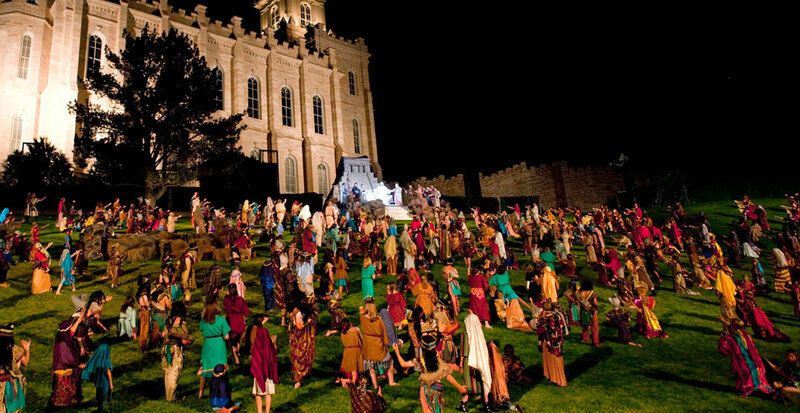 Share an evening under the stars with us and enjoy the beauty of the hills and the magnificence of the Manti Utah Temple while you watch this historical drama. 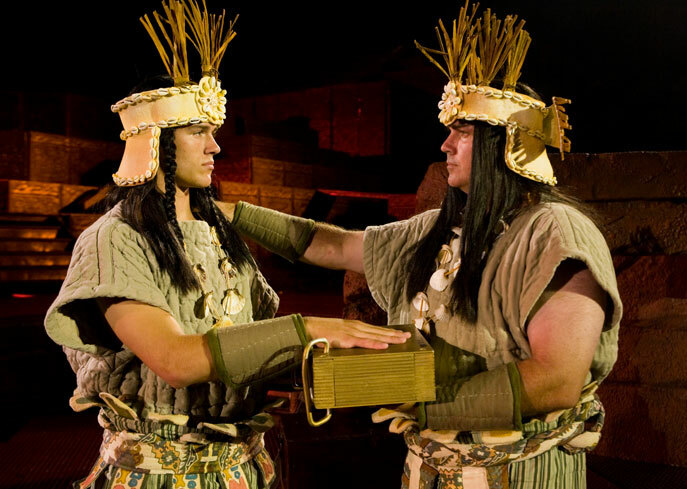 Witness the intertwined stories of the Restoration of the gospel, the Book of Mormon, and the journey of faithful pioneers to the Sanpete Valley. Celebrate the restored gospel, the prophetic mission of Joseph Smith, and the legacy of early Latter-day Saints in Nauvoo. 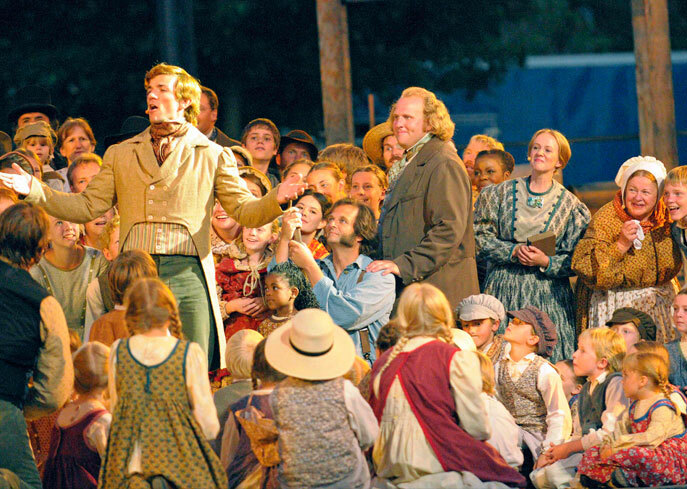 Enjoy historical vignettes in Old Nauvoo throughout the day and an 1840s country fair pre-show at the pageant site before the pageant begins each night. The pageant starts at about 9:15 p.m. and runs approximately 1 hour and 15 minutes. 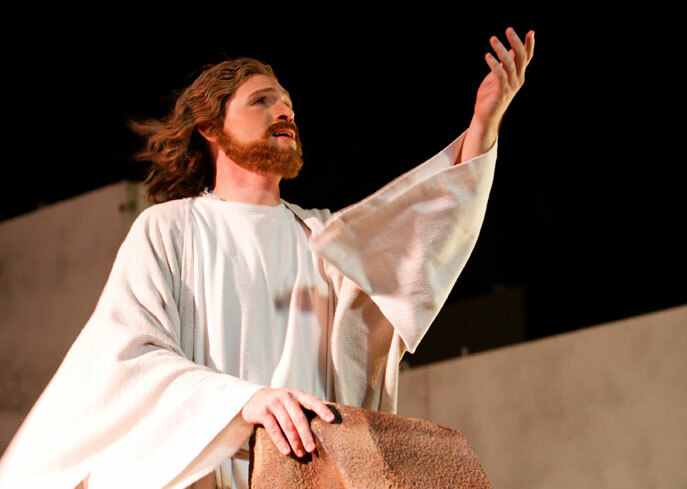 Experience the excitement, drama, and pageantry of America's largest and most spectacular outdoor theatrical event, which focuses on the Book of Mormon: Another Testament of Jesus Christ. Witness the trials of Lehi’s family and his descendants, the climactic visit of Jesus Christ to the Americas, and Joseph Smith receiving the plates. 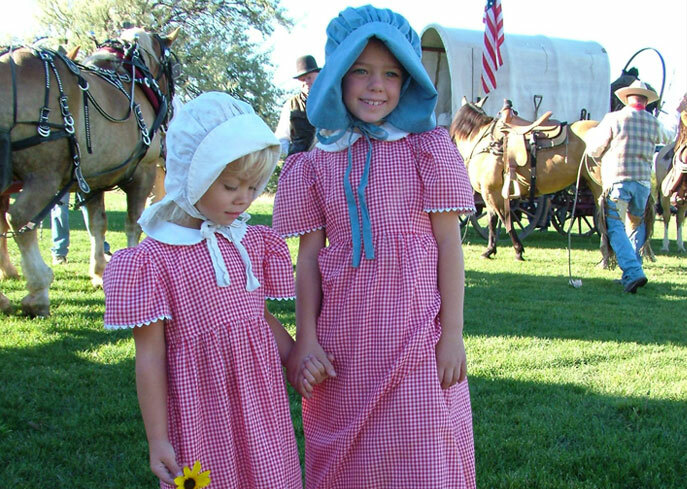 Discover Castle Valley, Utah, through an elaborate outdoor historical drama that portrays the settling of the frontier. Visit the Pioneer Village to learn about the skills necessary for a pioneer settlement to survive, such as blacksmithing, farming with horse-drawn implements, weaving, and spinning.